WEST LAFAYETTE, Ind. — The annual Summer Concert Series at the Purdue Memorial Union features dinner and the diverse musical styles of local bands. 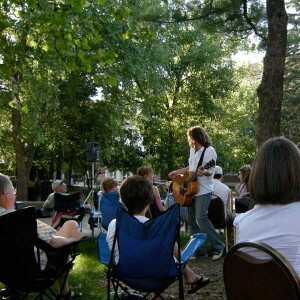 The series kicks off on July 8, 2009 on the West Lafayette campus. The performances are free to attend, and dinner is available for a $5.00 meal ticket or ala carte. The four free Wednesday shows begin at 6:30 p.m. on the union’s front lawn. Seating for the concerts is limited. Concert goers are advised to bring lawn chairs and/or blankets. In case of rain the concert will be moved inside to the Purdue Memorial Union’s North Ballroom. The series is sponsored by the Purdue Memorial Union and Purdue Employees Federal Credit Union.